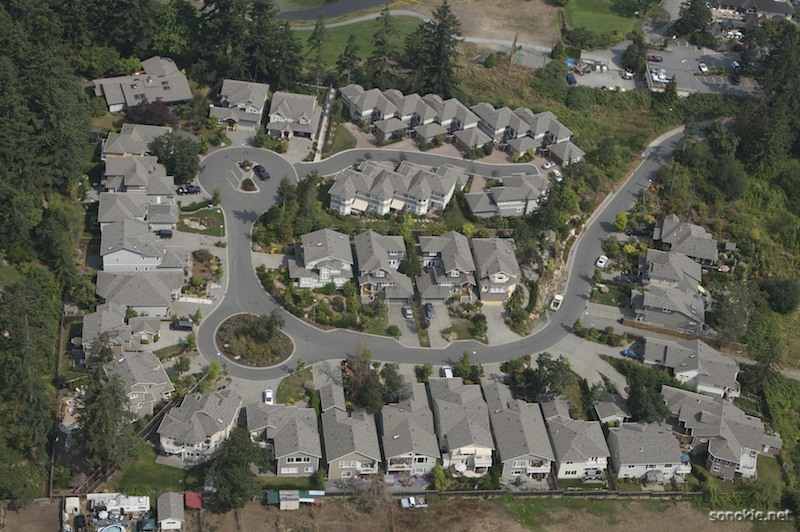 Aerial shot of a subdivision just outside Victoria. A cluster of grey houses -- each more similar than the last -- with roofs often close enough to jump across the gaps and walls painted various shades of grey. Even the cars are neutral colours -- is there some kind of rule outlawing bright colour and personal expression?